The baby great horned owl is just about the size of a Siberian chipmunk (although the chipmunk is slightly bigger) but it quickly attains weight as well as the length in the coming weeks. The juveniles weigh only 34.7 grams (1.22 oz) at birth. However, they will continue to grow fast and gain as much as 33 grams of weight each day in their first month. Male owls weigh up to 800 grams whereas females averaging 1,000 grams once they are one month old. The baby great horned owl displays whitish gray down with some markings in brown as they emerge for the first time. As days go by, the chick begins to show more brown down—particularly the cinnamon-buff. 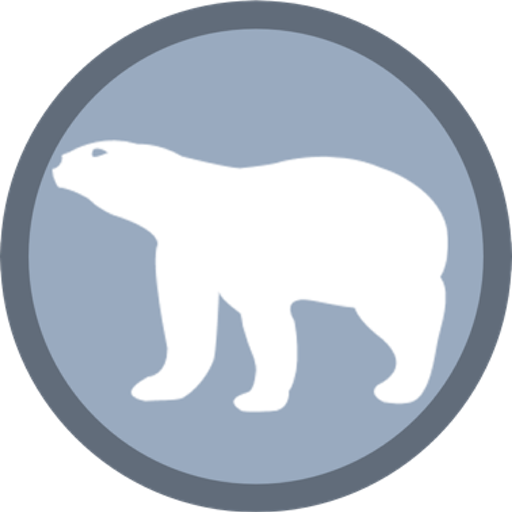 However, as the juvenile turns into an adult the brown-colored down begins to fade away probably in late summer. At one year age they show almost no brown down instead they look quite mature. Also, the one-year-old owl doesn’t appear to display any ear tuft—a prominent display on the great horned owl’s disposition. While in nest, the baby owls will probably learn to grasp the food as well as to climb up the branches. They can even defend themselves when they are 70 days old. Unlike adult’s call, the baby owl will produce a pretty high-pitched sound. They have different calls for different occasions. 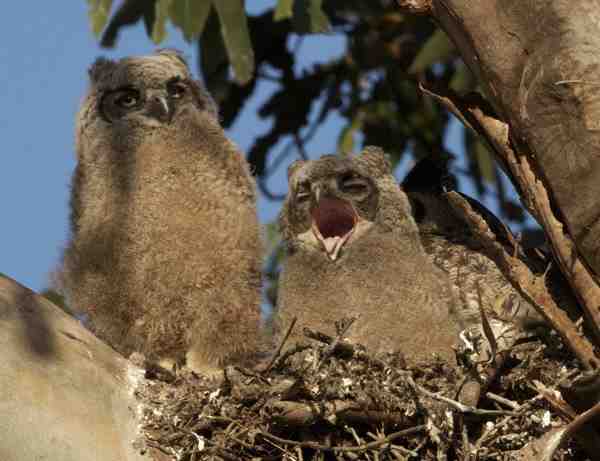 Sometimes however juveniles will also mimic the hooting sound of their parents. Baby owls often call out their parents for food. 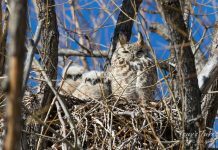 Fledging time is probably the most critical moment in the lives of baby great horned owls. Most chicks fall off the nest and get killed—later on eaten by the predators. When they are 42 days old the young owls will give their first attempt to fly. But they will fully learn to fly at the age of 70 to 84 days. In the meantime, they can just afford to move into the branches while keeping away from the predators. The fledging time will probably occur late in the season if the food is scarce. During fall when the eggs hatch, the young owls will have a pretty smaller area around 13.1 to 52 ha. However, as they grow older the size of the area expands. Many a times it happens that juveniles do not abandon their parents until the next year when they reproduce again. By this time they remain within the territory of their parents. 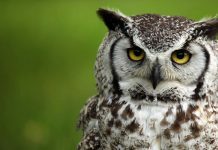 Based on observation, great horned owls become mature at 2 years age. Bent, A. C. 1938. Life histories of North American birds of prey, Part 2. U.S. National Museum Bulletin 170:295-357. Hoffmeister, D. F. and H. W. Setzer. 1947. The postnatal development of two broods of Great Horned Owls (Bubo virginianus). University of Kansas Publishing Museum of Natural History, 1:157-173. Sumner, Jr., E. L. 1934. The behavior of some young raptorial birds. University of California, Publication on Zoology, 40:331-362. Houston, C.S. 1971. Brood size of Great Horned Owls in Saskachetwan. Bird-Banding, 42:103-105. Great horned owls have lately caught my attention partly by their outstanding physical features and nesting behavior, but mostly due to the range of sounds they utter on a moonlit night. It was the hooting sound of a great horned owl that inspired me. 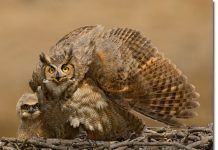 Great Horned Owl Predators – What Eats a Great Horned Owl? 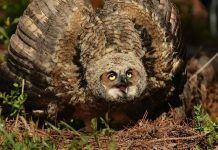 Great Horned Owl Lifespan – How Long Do Great Horned Owls Live?